The world of Narnia is an amazing wonderland. Not only do many of its animals possess capacity for reason and speech. They also possess faith. And the noble creatures of the land, for there unfortunately are those who turn their back on the light, trust in Aslan. Aslan is the great Lion whose activity encompasses the whole of its history. Aslan is present to roar Narnia into existence. And he is there on that day when the world ceases to be. He is its beginning and its end, its Alpha and Omega. One must read the Chronicles in their entirety to gain a full appreciate for Aslan. However, C.S. 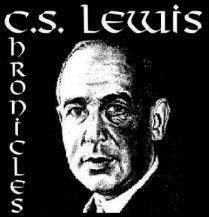 Lewis Chronicles humbly offers this brief biography of the great Lion as an introduction. Aslan is introduced to the Pevensie children in the first Chronicle that Lewis wrote, The Lion, the Witch and the Wardrobe. Those who read the books in their original order will share their awe and wonder at the arrival of Aslan, who defends the innocent citizens of Narnia from the wiles of the White Witch. However, there is a tendency today to read the novels in their "historic" order. In which case one meets Aslan at the dawn of Narnia's creation, in The Magician's Nephew. We see that it is by his voice, through his word so to speak, that the world is created. Whichever approach to reading order one prefers, we end the series with Aslan playing a central role in The Last Battle. We witness the culmination of Narnia, even as it gives way--for the faithful--to something infinitely better. The Lion's regal majesty is evident in his persona. All beings innately offer deference to him. The faithful, but bowing to his lordship. The evil, but cowering in his presence. Aslan is powerful and large, the size we are told, of a small elephant. Yet his dimensions are relative, and on occasion in the stories he physically grows in their presence. His being radiates light as well as authority. Aslan's velvet paws can be comforting in their compassion, or terrible in their clawed wrath. Aslan is the benevolent Protector of all that is good and the final and fair Judge of those who deny his grace. Following the traditional order, that in which the books were composed, we will briefly describe the revelations about the hero of Narnia. In this most wonderful story, Aslan is introduced as Narnia's rightful king. He puts an end to the Hundred Years of Winter and defeats the White Witch. He restores life to the creatures she had turned to stone and used as ornaments in her castle. He anoints the children as his chosen kings and queens to rule over the land. And, most powerfully, Aslan offer up his own life to redeem one of the children who had chosen to follow a path leading to death. Aslan's primary activities in this volume are to inspire the rightful prince to triumph over the evil intentions of his uncle (who is attempting to usurp the throne) and accomplishing miracles which revitalize the Narnian world. Aslan reveals his knowledge of earth, which clearly suggests that his realm is not limited to the magical realm of Narnia. Aslan appears briefly at critical junctures in this exciting journey. At the World's End, the travelers encounter a radiant Lamb, almost too bright to even gaze upon. And this Lamb, who is indeed Aslan, tells the children that they need not travel to Narnia to know him, but that he is known in our world by another name. In this story, Aslan is present the least of any of the Chronicles. However, the passages where he does appear are profound. His conversation with Jill in which he tells her she must drink of the waters to which he directs her, is telling, for "there is no other stream." And, without drinking of the waters, she will surely perish. In this volume, the Lion also shows great affection for his children, lavishing the "wild kisses of a lion" upon them. Aslan's divinity is made evident in this adventure which explores the kingdoms to the south of Narnia proper. Aslan reveals to the boy Shasta that he has watched over him the whole of his life. There is also a very enlightening discussion of the nature of the Trinity in this text. This volume reveals that Aslan is the Lord of Creation, through whom all things were made. This story is wonderful, and Aslan is on center stage throughout, revealing more and more about his divine nature. Although he only arrives on the scene in the final portion of the book, he is referred to throughout. Dangerous error has gained ground throughout Narnia, as the unfaithful have discounted Aslan's work in past eras. They have twisted the faith and expectations of many, and a civil war results. To many, the suspense and action of this book make it their favorite. With the end of the Narnia saga, Aslan invites all who would, to follow him into his own land. "Come father in! Come father up!" His call reverberates in the minds and hearts all who have come to recognize the true nature of Aslan... especially by those who have come to know him by the Name by which he is know in our own world. The Chronicles of Narnia are filled with valiant individuals, human and animal, who are rightly called heroes. 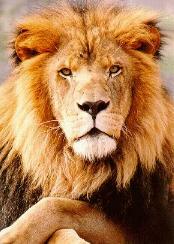 Yet it is the ever-present and ever-compassionate Aslan who is the true Hero of the tales. Without him, the stories would be enjoyable adventures. But with him at their center, the stories become redemptive. And, C.S. Lewis' most popular writings move beyond the realm of entertainment into the sphere of inspiring classics. Just as Lewis established his personal life on the cornerstone of Jesus Christ, God incarnate... so too he erected the whole of Narnia on the redemptive foundation of Aslan.